Is This Bag Fake / Authentic? Discussion in 'Handbags' started by Emilee, May 27, 2009. Please stay on topic! This thread is for asking for assistance determining if bags are fake or authentic. We also have "The Identify This Bag" thread if you have seen a bag and want to know the brand, the "iOffer Bags, Lushfashion.com, etc." about replica bags and several threads on specific brands such as LV, Balenciaga etc. (use the search function). 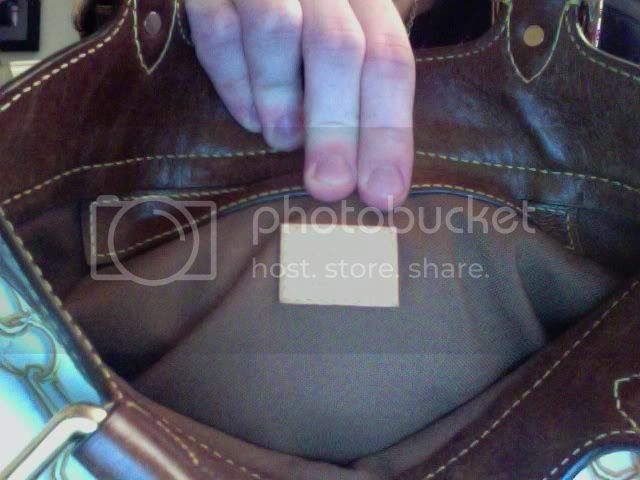 I would like better pics inside but do not like the way the shoulder strap attached on the inside. Looks fake to me. Do you have anything to say about this one. My mother found it in a vintage store. It doesn't say Hermés anywhere but it's their classic "H" on the front. It's genuine leather on both inside and outside and yeah....I don't think it's a Hermés but does anyone know what label it can be? it might be. they don't give away tassels for free, so i doubt they'd give you/repair a stud for free. and the seller has so many feedbacks too! shopaholic... 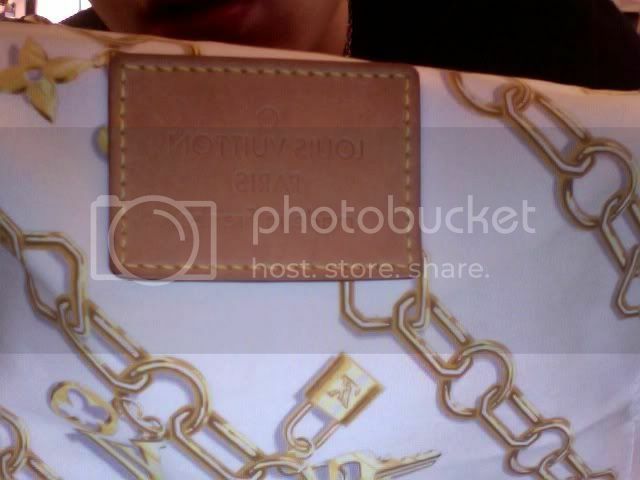 I'm pretty sure this bag is authentic actually, von179 has sold quite a few authentic bags, I just checked on Goofbay. It is allowed to post ebay links now. This looks authentic to me, but would need more photos to be sure. It sure went cheap, though. 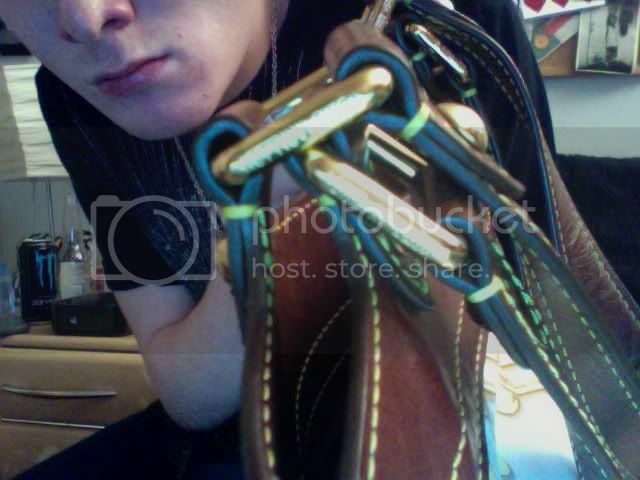 Hi guys, I have a few questions about the authenticity of an Hermes Birkin bag I may have found in a charity shop . . but I haven't bought. I saw it the other day sat on a high shelf and I gasped because it looked heavy, leather and nice. I took it down and checked it all but it doesn't have a name on it anywhere. Then I left it. Came back a few days later and checked it again for about fifteen minutes. I've been checking out big pictures of Birkins and this one seemed to be pretty much the same - usually you can tell a fake from a mile away because of the crap quality but I thought this was pretty good. On the keys of a Birkin what is inscribed into the metal? This one said something on the lines of 'Made in Italy'. I would have bought it (I should have bought it at £4.00 . .) but I didn't really want to own a fake Birkin . .
Where should there be names? Did older versions not have names on maybe? What other qualities should I look for? I'm just wondering whether I should run at full pelt to the shop tomorrow and pray it's still there?? There are many tells on a authentic Birkin. People have written books about it. 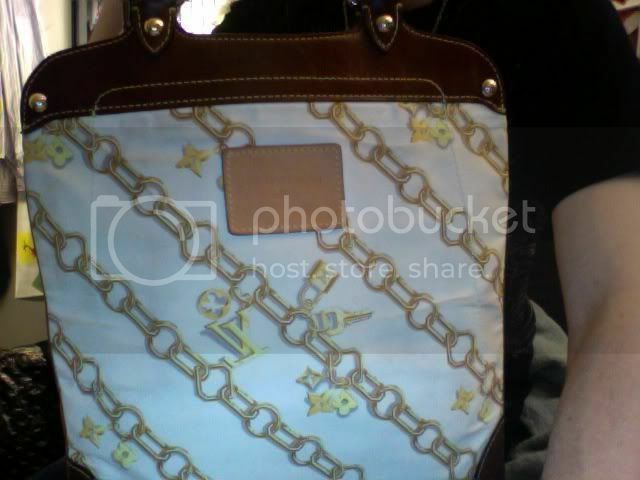 If this bag has no names or Hermes inscriptions, then it's fake especially of the low price. 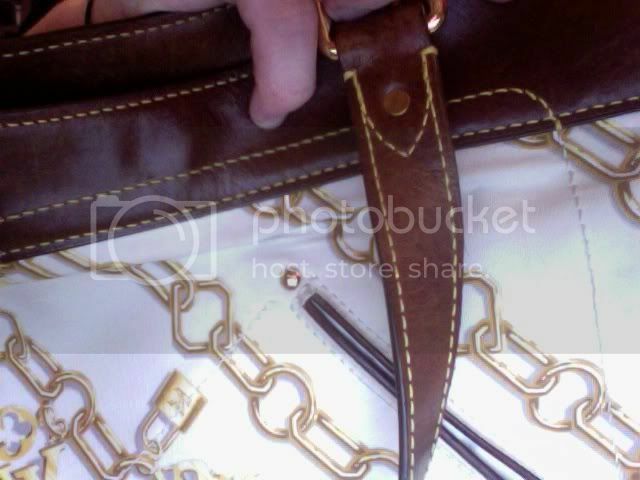 If you want a nice leather look-alike bag for the low price, get it, but it's not an authentic Hermes Birkin. can someone help me out with this balenciaga? Ask seller for a photo of the hologram sticker and post. It looks promising, just want to be sure. i´ll ask, And post as soon as i get it. This actually looks authentic to me. I recently bought a LV tote at an upscale thrift vintage store (not many designer items - but a few that were described in detail. I was skeptical - because I am not a LV expert - but I can spot a bad knock of easily. I examined it inside and out - and determined it was real - because the quality seemed IMPECABLE (every stitch was in PERFECT condition and looked hand sewn - even though the bag was used). Also - it didn't seem like a model that is usually knocked off. All buttons etc. are stamped. I asked if they were sure it was authentic - and the sales people said they were nearly 100% sure. They said that when they received designer items - they did their best to authenticate it. They said knock-offs come in regularly from donations - and they price those at next to nothing and put "knock off" on the label. Items deemed authentic are put in their high-end case (where this was). Also - one of their SAs used to work at Macys - IN handbags but not LV - and said she could tell. I trusted them that while they could not be 100% sure - everyone determindes it to be authentic. I apologize about the quality of the photos - my camera broke =( so I had to take it on webcam. Let me know if you need clearer photos.